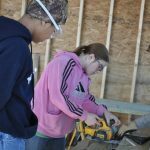 A lack of skilled trades professionals sparked a constructive project in Ozaukee County. The “Four at the Door” principles encourage a sense of belonging in groups. 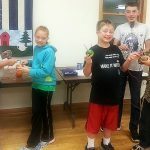 Iron County 4-H Youth Educator Neil Klemme WPR that involving youth in community planning helps them feel a sense of ownership. 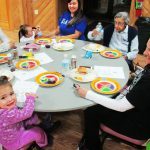 Menominee County/Nation’s 4-H program integrates tribal traditions and health education to innovate sustainable change for families and communities. One 4-H’er inspired others to lend a hand to the children of military service members. They start a camp at Upham Woods this week that’s designed to help with the challenges of a parent who’s away for long stretches of time. From robots and rockets to batteries made with potatoes and limes, this project is teaching youth the scientific method and how to communicate it. 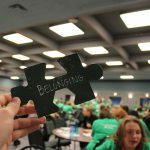 The Wisconsin 4-H Leadership Council’s president and vice president were among the only youth to join extension stakeholders from across the country in learning about and promoting its federal-level connections. 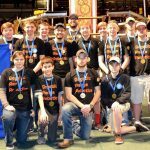 Led by a county 4-H agent, this rookie robotics team from Iron County is headed for an international competition.